Summer is officially in full swing here at the So Vegan HQ! We’ve had fun trialing and testing a number of summery cocktails for our So Thirsty channel and we’ll be dropping our favourites on Facebook, so make sure you keep an eye out. 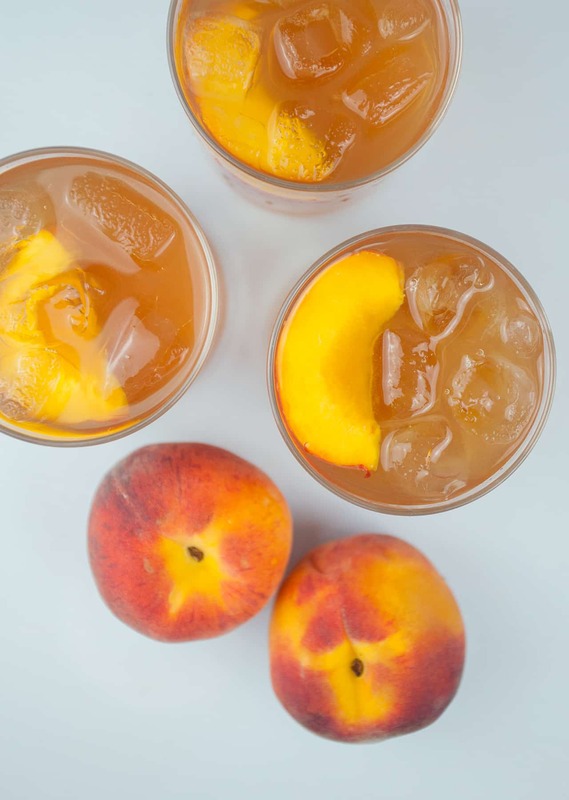 And here’s our recipe for vodka peach iced tea! It’s awesomely sweet and refreshing, and it’s become a staple in our household. We use English breakfast black tea, but go ahead and use your favourite style of black tea if you want to add your own twist to the recipe. Deseed and roughly chop the peaches. Add the chopped peaches, 2 cups of water and the agave syrup in a pan over a medium heat, and simmer for 25 - 30 minutes. A few minutes before the end, crush the peaches with the back of a wooden spoon or a masher. Meanwhile, brew the tea by placing the tea bags to a large bowl and adding 5 cups of boiling water. Leave to brew for 5 minutes, then remove and discard the tea bags. When the peaches have finished cooking, drain the mixture through a sieve, pushing the peach pieces through to retain as much syrup as possible. Discard the remaining flesh from the peaches (try using in a cake or serve for breakfast) so you’re left with the tasty peach syrup. In a big bowl, combine the tea with the peach syrup, then leave to cool completely. As soon as the liquid has cooled, add the vodka. Keep the vodka peach tea in the fridge. When ready to serve, serve in a glass over lots of ice and a slice of peach.